Litigation, Arbitration, and Mediation in the areas of Real Property, Construction defects, Business disputes, Probate and Estates, Commercial contracts, Personal Injury. "AV" Rated by Martindale Hubbell. Admitted to Michigan Bar Association in 1983, Florida Bar Association 1984, United States District Court Middle District, Past President of Nassau County Bar Association. 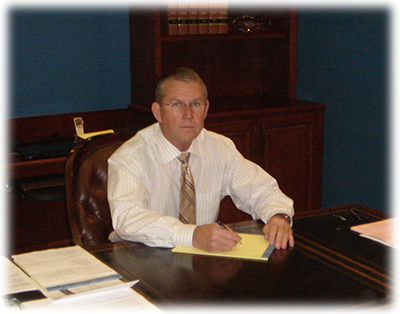 Trial lawyer since 1984 in Florida state courts and U.S. District Courts in the areas of commercial litigation. Member of Real Property and Probate and Trust Law Section of Florida Bar. The information on this website should not be relied upon in making legal decisions. You should always consult an attorney to discuss your individual situation. J. Thomas Mckeel is licensed to practice law only in the State of Florida. The hiring of a lawyer is an important decision that should not be based solely upon advertisements. Before you decide, as us to send you free written information about our qualifications and experience. J. Thomas McKeel P.A. is not your attorney unless he accepts your case. Please do not send any confidential information before you have confirmed that J. Thomas McKeel P.A. has been retained!